Through the haze of my fatigue when Mark was a baby, I learned how to watch him carefully and respond immediately when he initiated communication—verbally or nonverbally. For example, he’d wake up in his basket and start waving his arms. I’d go over and start talking to him, picking him up if he wanted attention. When he pointed to something, I followed his gaze and made a comment about it. For example, if he pointed to the dog, I’d immediately say “There’s Cocoa! I see our doggy Cocoa!” If he was in his swing and started crying, I’d go over and start talking to him, removing him from the swing and putting him in a more satisfactory spot. The key? Respond right away (when possible) when our small children initiate. This even includes crying. Talking is preceded by joint attention, or paying attention to the same thing. A child indicates interest in various ways, and we have to be sensitive. A child may cry. She may gaze at an object. She might point, or make noises. The sensitive caregiver understands all these small attempts at communication, and responds immediately and with warmth as often as possible. This builds the foundation for conversation, letting the child know that her attempts to communicate are rewarded with attention and love. In terms of talking to babies and small children, we used to believe in the “waterfall of words.” In this paradigm, the adult talked as much as possible regardless of whether or not the child was interested or paying attention. While the scientific community still believes in talking a great deal to children, we now know that there is something even more effective: responding immediately to what the child is interested in. Research shows these immediate responses encourage early speech and language development much more effectively than any other strategy. Tamis-LeMonda and colleagues showed that children of highly responsive mothers were saying 50 words by 15 months old. Children of less responsive mothers didn’t say 50 words until they were 21 months old. Interestingly, how often a mother initiated a conversation with her child did not predict language outcomes. The most significant factor in boosting children’s expressive language was if the mother responded immediately when the child initiated. A later study in Sweden was carried out with parents and 18-month olds (Marklund et al., 2015). The researchers found that the children whose parents responded fastest to their utterances and initiations had the largest vocabularies. The children of slow-responding parents had smaller vocabularies. In order to maximize your child’s language development for a lifetime of success, follow her lead and respond immediately. 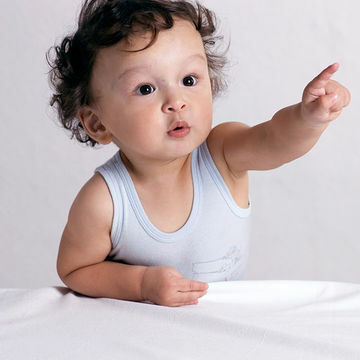 Notice what your child is looking at, what she is pointing to, when she vocalizes (makes a noise) or when she uses words. Respond right away. It’s helpful to label what she is looking at and incorporate movement if possible. Labeling an item and making it move around will capture the baby’s interest and make the item more salient, creating a multisensory experience. 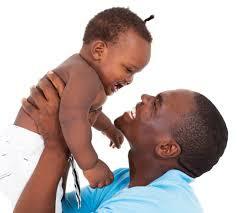 Up until the age of 15 months, babies will respond better and faster if the object is moving. They also benefit from hearing new words from multiple speakers. This is a solid argument for preschool. Baby Marissa is in her crib watching her mobile. She is gazing at a sheep. Mom is shopping at Safeway, and 10-month-old Landon is in the cart. He sees a colorful box of Frosted Flakes and points to it. Mom notices his pointing and immediately says “Look, there are Frosted Flakes with Tony the Tiger. That’s what some kids eat for breakfast.” Mom can even take the box off the shelf and show it to Landon. Again, research has shown that noticing what the child is interested in and responding immediately to the child’s interest is even more effective in building language than the “waterfall of words.” Labeling the item several times and making it move, if possible, helps the baby learn the word even faster. When we label the item, we can say it a little louder and with more emphasis to highlight it auditorily. When we do this, the baby will learn the word more quickly.